So around a month or so ago after having my Oculus rift sit on a box on my desk unopened. I decided hang it I will upgrade my i5 2500K from 2011. I got a 850 Evo 1TB ssd Win 10 and a G1 Gaming 1080 and a Pg279Q monitor. all the other games I play run fine (but I haven't gotten witcher 3 yet) I want to play Gta 5 all pretty like again. and wonder how much better an m.2 HDD would be over the $450 1TB evo 850 I got because I had to remain compatible with my gigabyte p67a-ud3r. My temps were good nothing over 65 @ 4.4OC 1.395 volts with a ok water setup I just think GTA 5 is made for killings older CPUS. 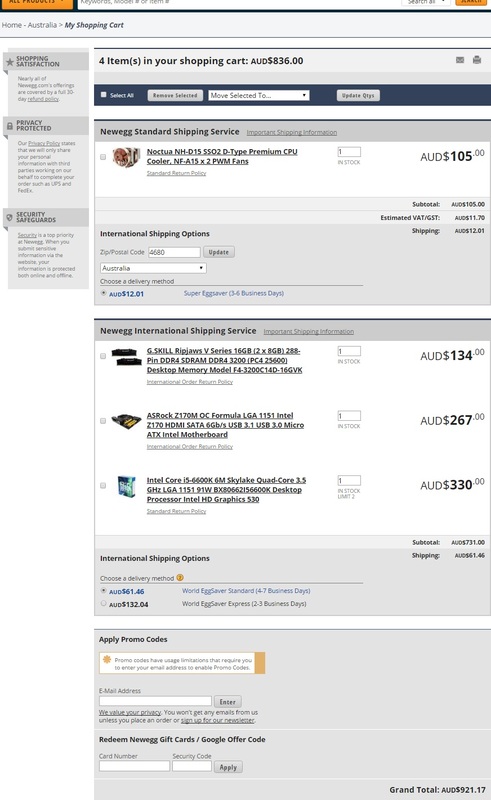 So I would be better off getting a 6600K spending an extra hundred spondoolies on a motherboard getting some sweet ram. Any recommendations on motherboard there seems to be hundreds of choices? and as for ram am I just looking for 3200 speed? $921 including shipping. seems reasonable. My current Giga PG67 ud3r is ATX but my case CM 690 says it plays with micro ATX too wohoo! Can I ask Dasa why that particular breed of ram there is a lot of very similar types whats the deal with that one. and that board can overclock a single ram stick to 4500mhz jesus! Personally I run a 6600k and it works just great, but the i7 6700K is a proven gaming CPU that provides amazing performance.